Slate is a beautiful natural stone that can be used to add different colors and textures to your landscape making your outdoor hardscape both functional and attractive. 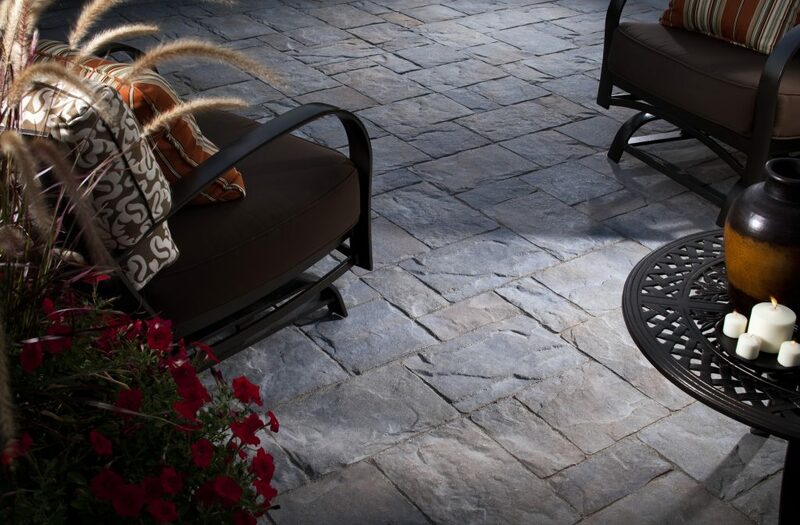 As a paver choice especially, slate’s varying colors adds a truly unique look to your hardscape. Colors range from grey and black to beautiful shades of greens and purples. Also, slate’s non-slippery, cleft surface and hardness provide a durable, attractive flooring option. Found throughout the world, slate is a metamorphic rock formed mainly from layers of shale subject to intense heat and movement pressure. The clay and fine particles of quartz, mica, and numerous other minerals found in the shale, in conjunction with differing degrees of heat and pressure, create a stone that can vary tremendously in density, strength, and absorbency. Due to these natural variations, purchasing and installing slate should be approached carefully as all slates are not created equal. The layered characteristics of slate and other metamorphic stones allow it to be cleaved (split) rather easily making it very affordable to bring to market. However, this characteristic can also allow the stone to spall (flake) after it is installed. Most slate will spall a little after being installed as the loose pieces on the uppermost layer are worn free. However, a quality slate will soon “stabilize” and flaking should not be an issue. Also, water can penetrate these layers or cracks and soften the clay of an inferior stone, “loosening” layers that can eventually just fall off. In addition, if iron is present in the stone it can bleed rust when installed in wet areas. Some green slate has also been known to fade over time when exposed to sunlight. Despite these potential issues you should still consider slate as a viable option for your hardscape. Slate is a favorite choice of many design professionals because of its earthy beauty and versatility. A good quality slate should last a lifetime. When using stone of any kind outdoors, especially slate, it is important it have a low absorption rate, which means that the pores found on the surface of the stone will not soak up moisture. When water gets into these pores, it can freeze, which causes it to expand and then shatter the stone. Slate is generally a good stone to use outdoors (depending on where you live) because it has a very low absorption rate. However, the absorption rate will vary slightly between different types of slate, so be sure to research the material you select. Overall, slate’s natural water-resistance makes it a good option for near-water features and pool areas. 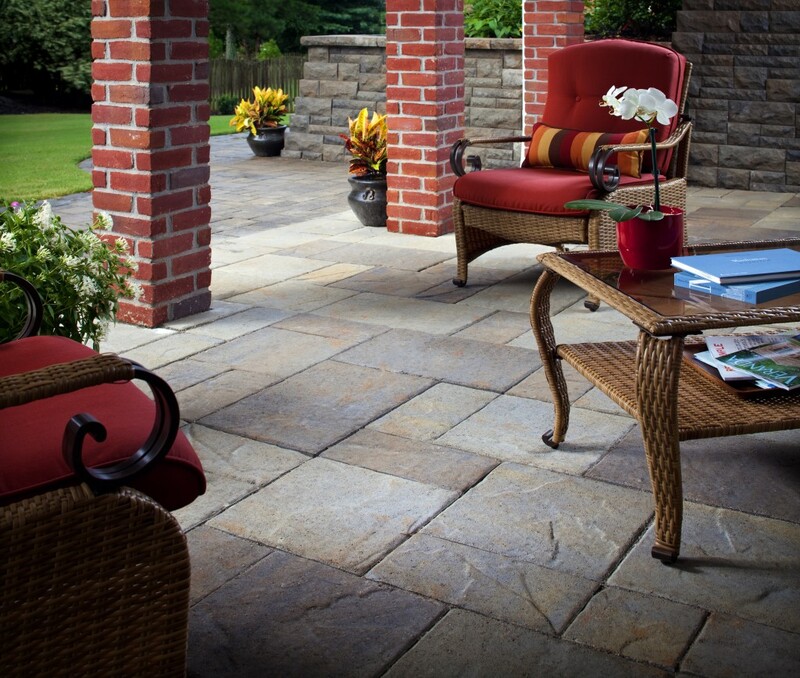 Most importantly, consider your geographic location before deciding on using slate outdoors. If you live in cold or rainy climates, the freeze-thaw cycle will cause the water to expand in your stone and crack and shatter the slate. 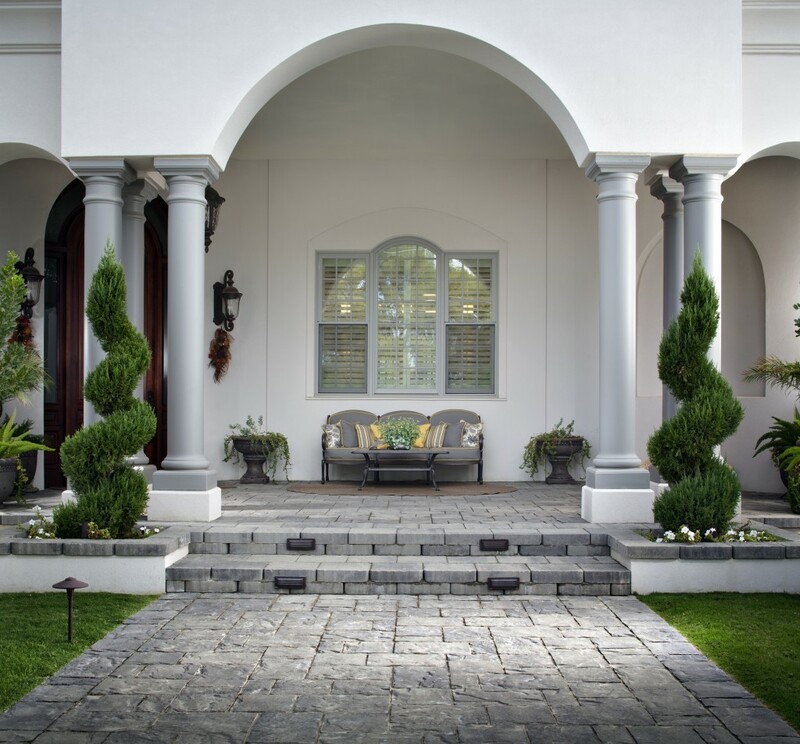 Southern California is an ideal climate for using slate outdoors. — Consider purchasing from a large, well established supplier. Smaller stores must often rely on selling cheaper products to compete. Especially with slate, you usually get what you pay for. — Consider where the slate is from as this affects durability. Vermont slate is usually smoother and denser and tends to be one color with low water absorption. Indian and Chinese slates come in many variegated colors and are usually dense but soft and tend toward higher water absorption rates. — Brazilian slate is available in many interesting color patterns, is typically dense and hard, and has a low water absorption range. — Ask for sample pieces from the actual batch you would be purchasing from, not the one hand picked piece from the sample shelf that may have been there for months. Inspect the sides of the stone looking for cracks, voids or loose layers. If the slate shows these conditions, it may have trouble maintaining its integrity while suffering from weathering over the course of several years. Ideally, choose a slate that is relatively nondirectional in the way that it breaks. Slate that breaks in lines rather than chunks may also be ill-suited for outdoor use. — Take the slate home and soak it in water overnight (or up to a week) and see if they soften to the point where you can scratch the surface with your nail. Bad slate will also start to dissolve and flake in the water. Also, if the water is rusty brown after soaking, this might indicate your slate is prone to rust, which will make your slate eventually turn an ugly rusty color. Be sure to clean your slate before this water test so you know the brown water isn’t just dust or dirt. — Make sure the stone is suitable for its intended use. Some slate might be fine for outdoor flooring and others are better for indoor use. — After your new slate is installed, maintain it properly. All natural stone requires appropriate cleaning and periodic sealing. — Make sure that whoever installs your slate puts it over a concrete slab. In the long run, this installation method will cut down on loose pavers, potential cracks, and so on. — Make sure the slate has full coverage with thin-set on the back. — Make sure your contractor uses a crack isolation membrane to keep cracks in the slab from transferring to your slate. — A good contractor will lay out the slate exactly as it will look on your project. Any necessary cuts will be made at this time and the proper placement and slope achieved. Slope ensures proper drainage to discourage standing water that can affect your slate. — Watch out for unevenness when installing, to avoid trip hazards at the joints. Installing or “floating” the tiles in mortar will help this potential problem. — A wet look can be achieved with sealants, but as slate is a natural stone, it’s recommended to keep its untouched beauty intact. Wet sealers are best for slate installed in a greasy BBQ area or other area where there is the potential for oil or tire stains. — A water barrier sealer should be applied to the stone after installation. Ask your contractor how often the sealer should be re-applied. — Choose a sealer based on your slate. Some sealers are better for more porous stone and some for low-water-absorption stone. — To protect the stone from weathering and fading, apply a non-yellowing protective finish to the surface every few months. — Clean spills on your stone immediately. — Don’t use cleaners that contain acid. — Don’t use abrasive cleansers as they can scratch your slate. — Dust mop often to discourage dust, dirt and grit from scratching the slate’s surface. When you dust mop, run the mop in only one direction to avoid pushing the debris back and forth over your slate. — Use two gallons of water and 1/4 cup mild detergent (dish detergent or recommended slate floor cleaner) to wash your slate. Allow to dry completely. 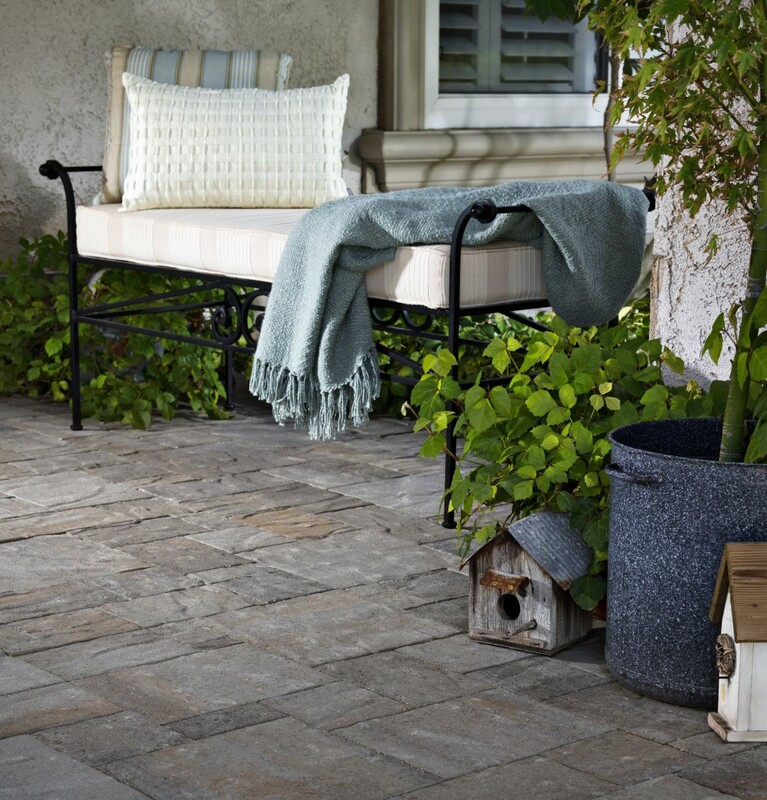 Slate is a beautiful stone that lends an organic look to any hardscape. Just remember: you get what you pay for, so it’s important to choose your slate carefully and select the one best suited to your outdoor space.